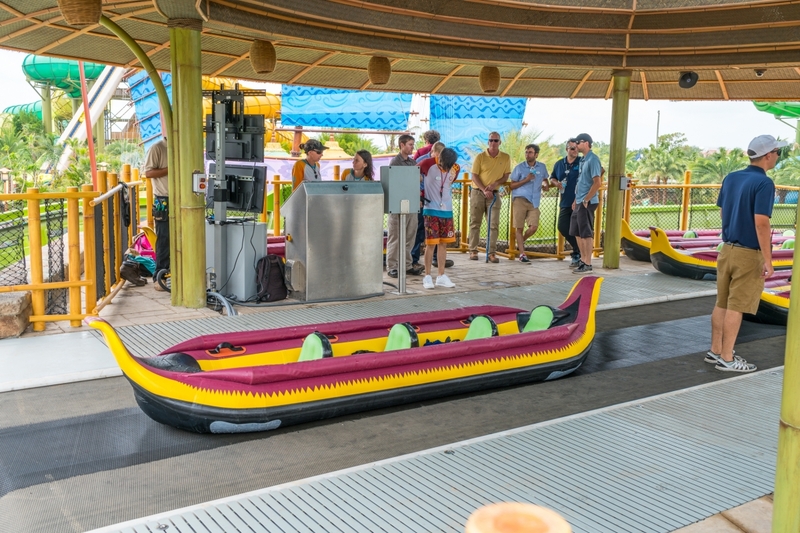 42 inches; must be 49 inches to ride alone; one to four riders; 700 pounds combined weight; no Express Pass access. 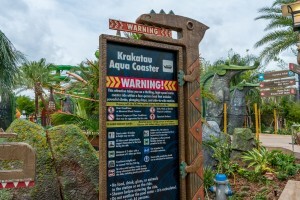 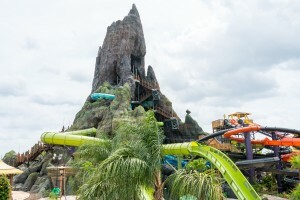 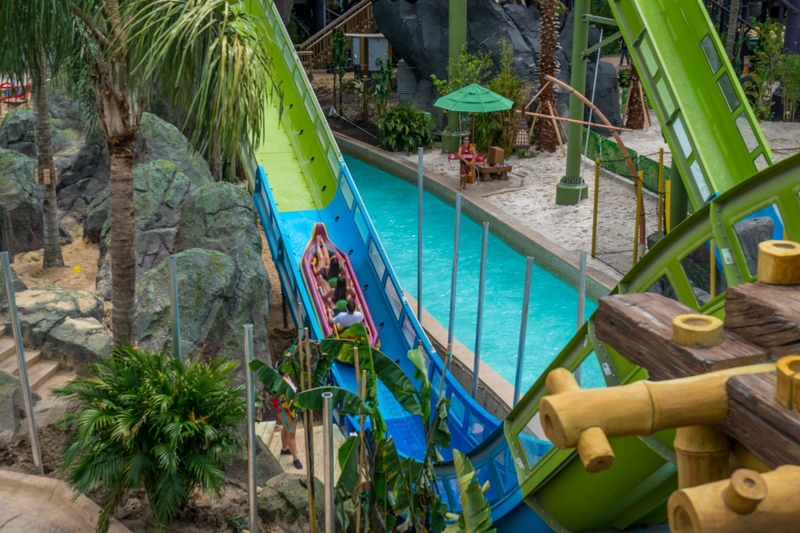 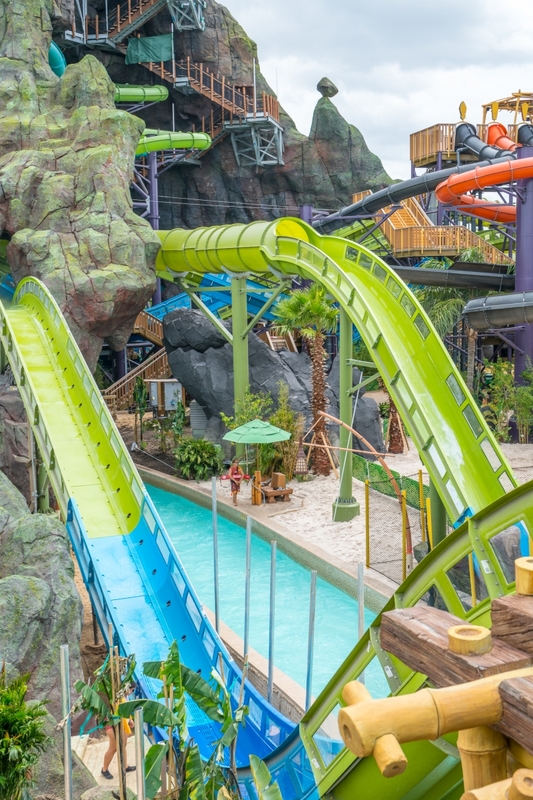 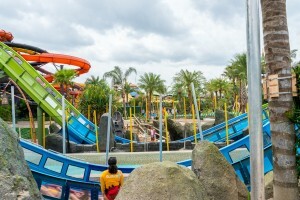 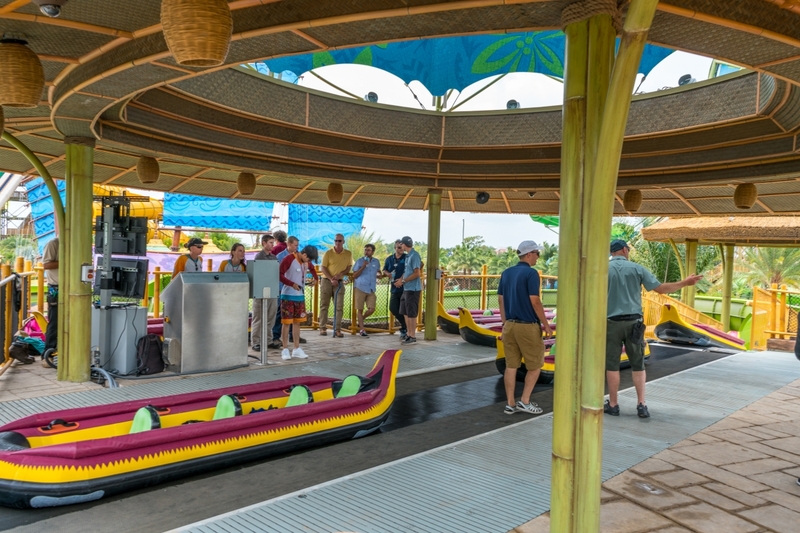 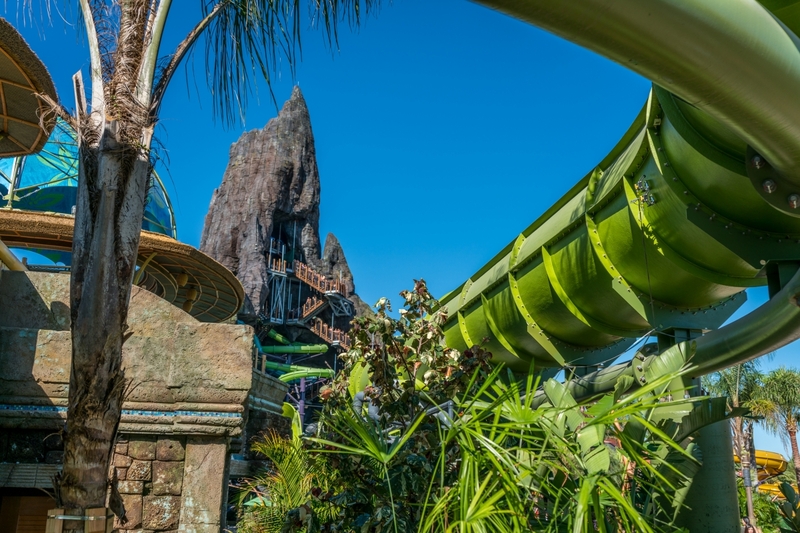 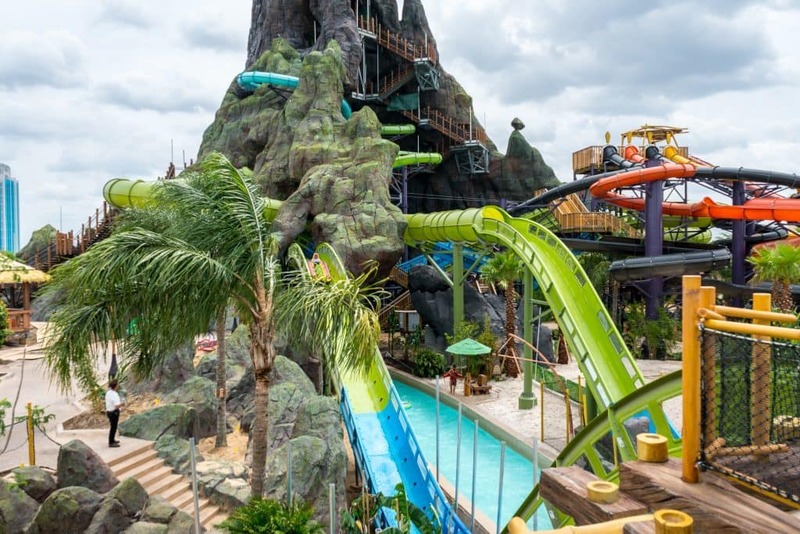 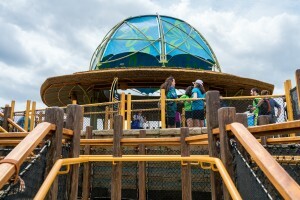 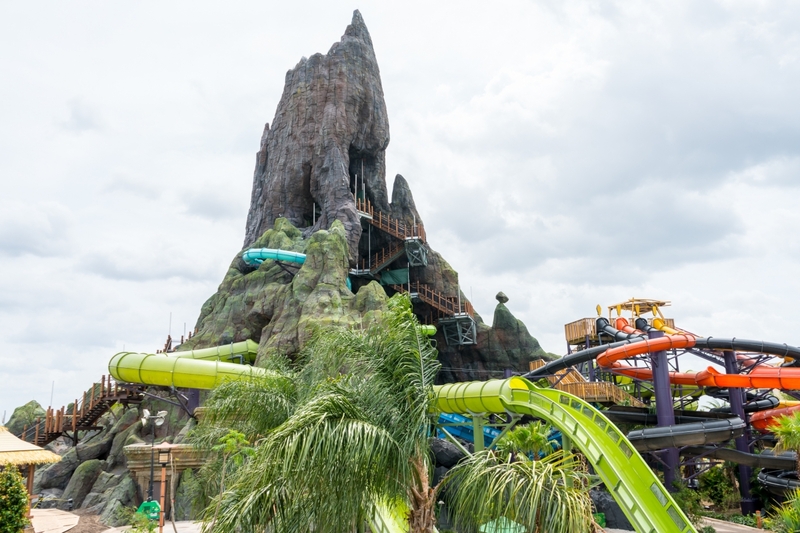 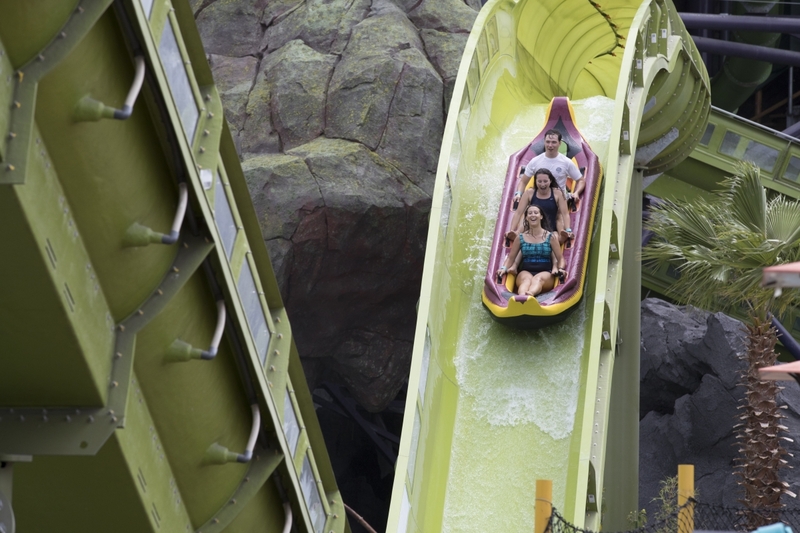 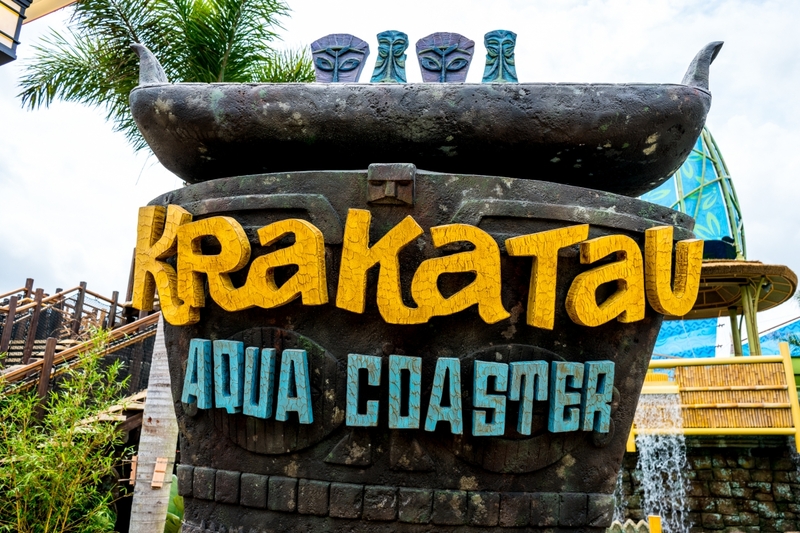 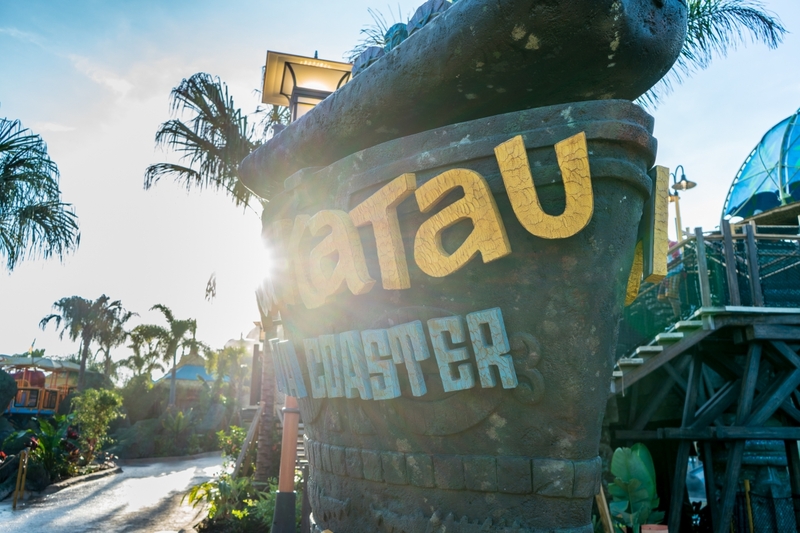 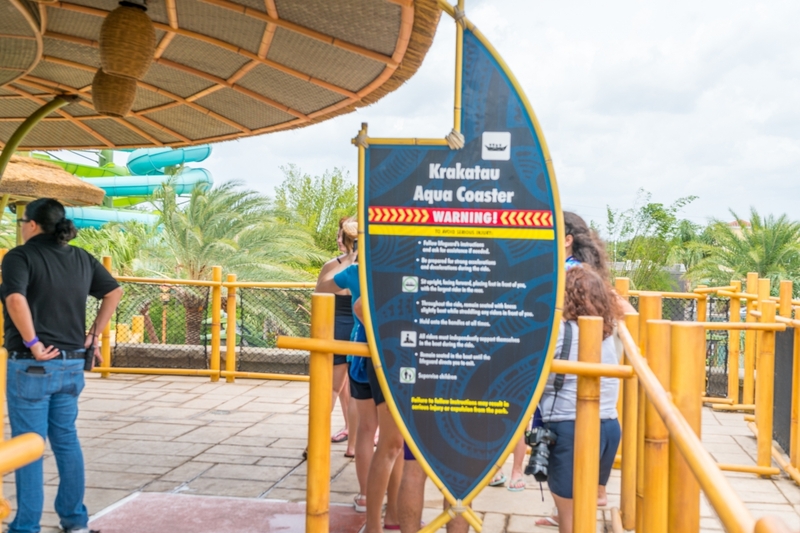 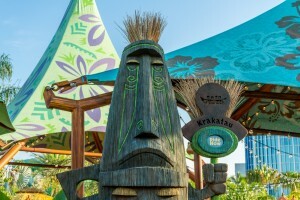 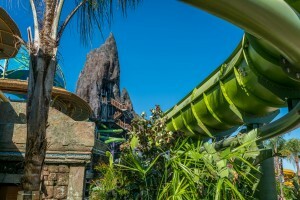 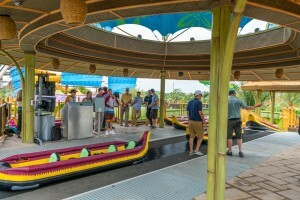 The flagship attraction of Volcano Bay, the Krakatau Aqua Coaster has a four-person canoe that launches up and shoots down hills and rockets through the volcano itself in a series of dark twists and turns. 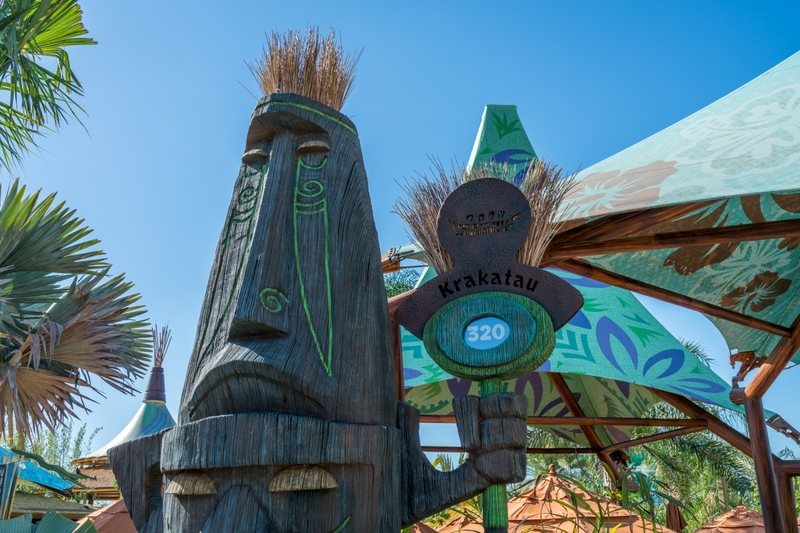 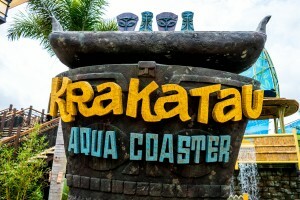 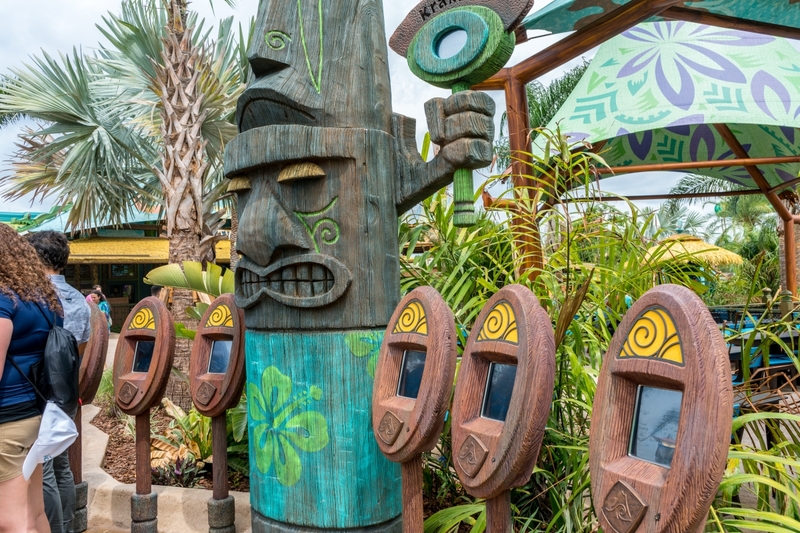 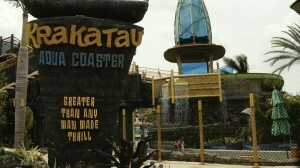 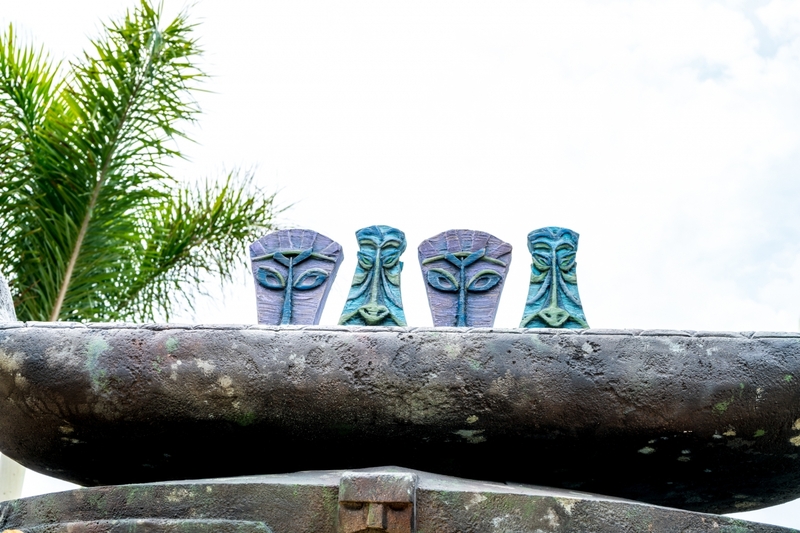 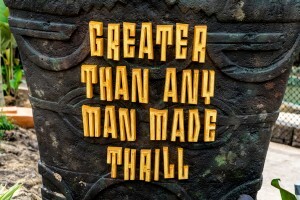 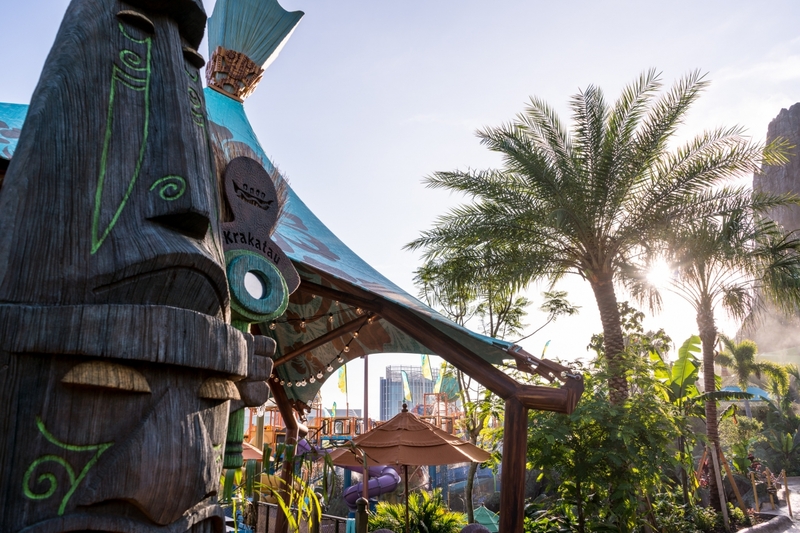 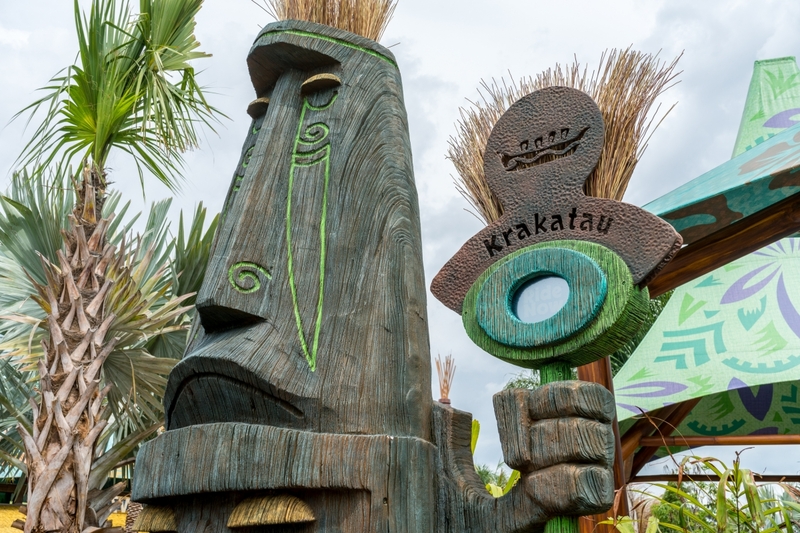 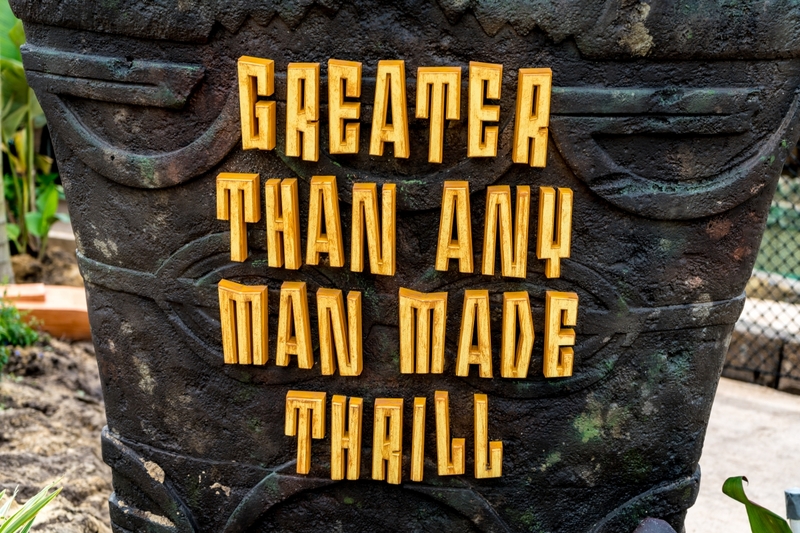 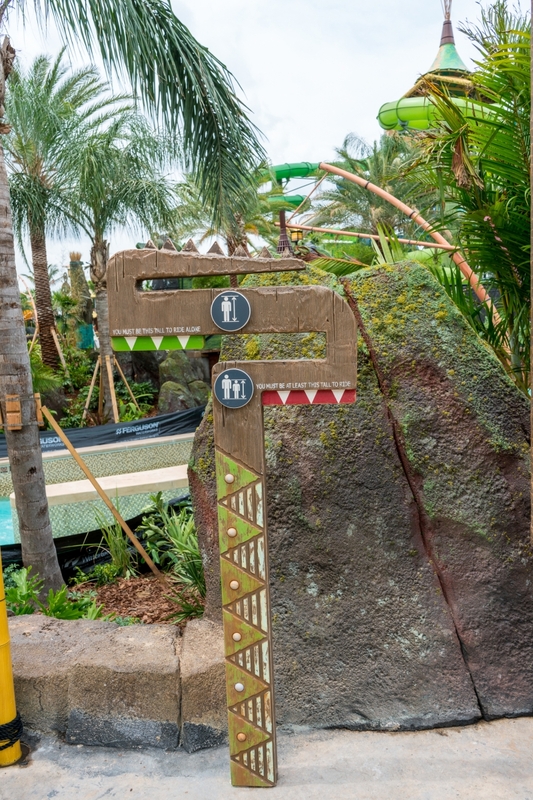 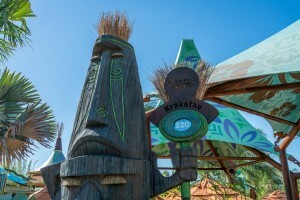 For the finale, the coaster plunges down a large drop with a large Tiki statue on each side. 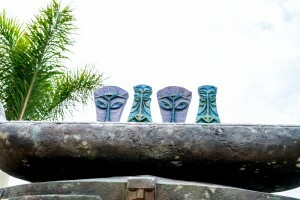 3 out of 5. 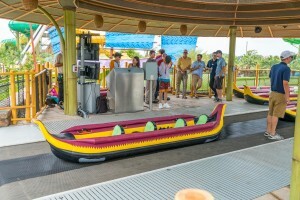 This is a case of the ride looking worse than what it really is. 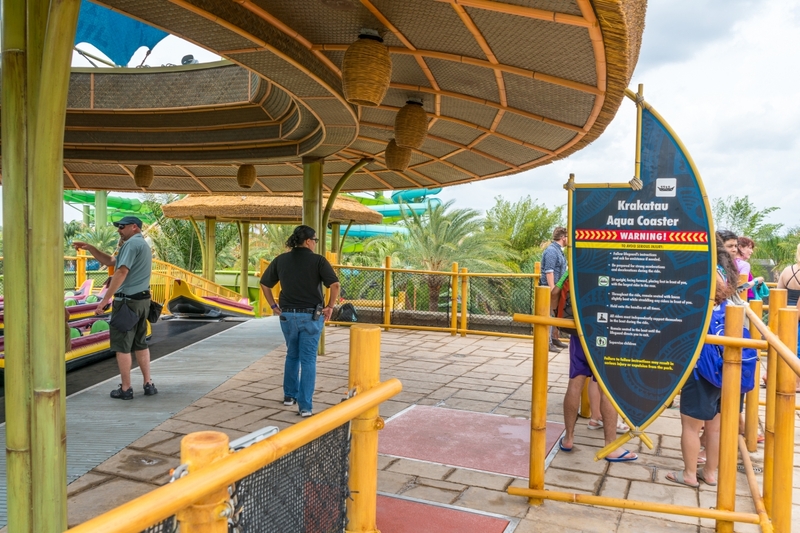 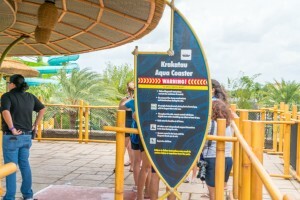 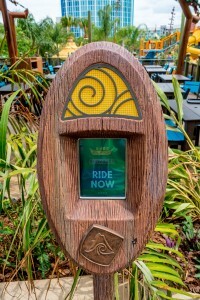 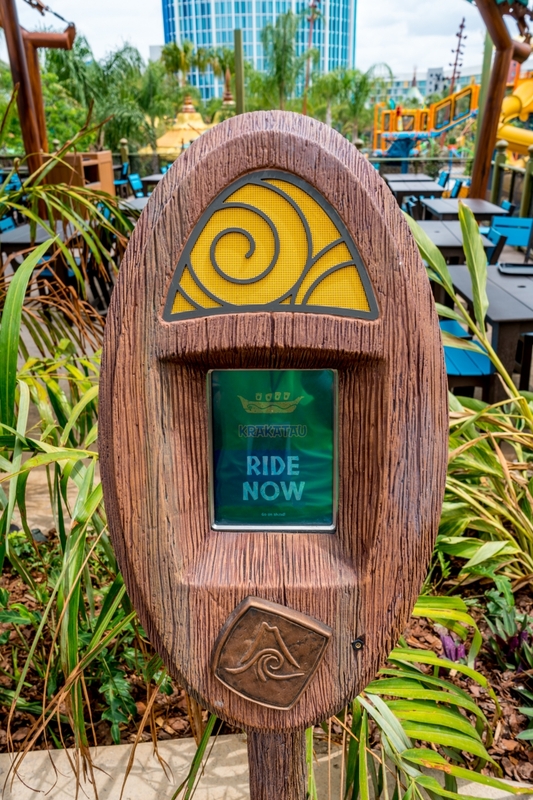 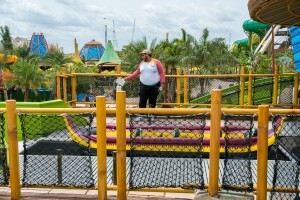 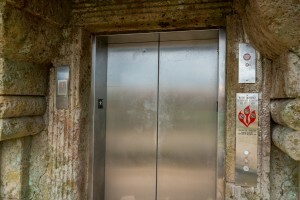 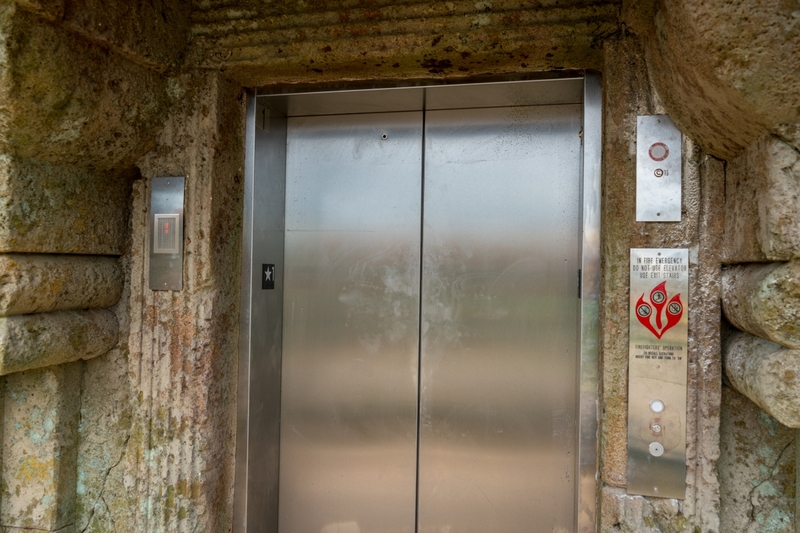 This attraction quickly builds and maintains a wait throughout the day, which means you’ll want to prioritize riding it. 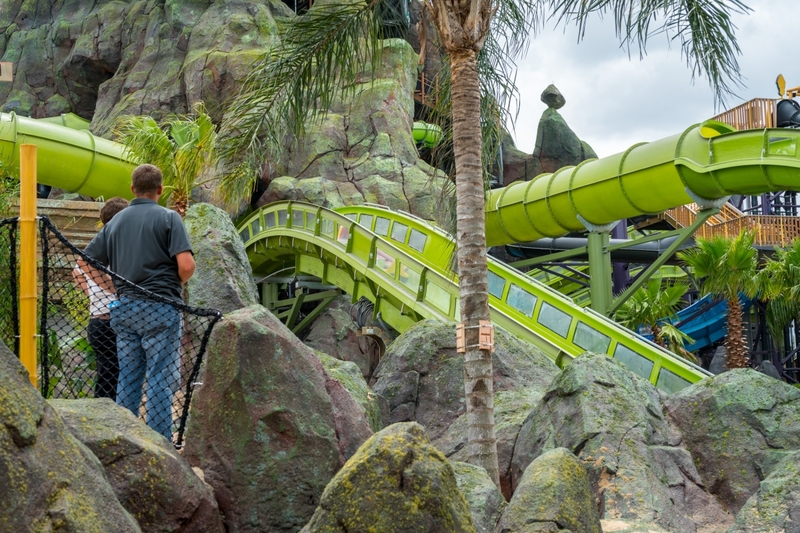 As a fan-favorite, many parties will want to ride it more than once each visit. To fling riders up hills, Universal is employing the same technology as it does on Revenge of the Mummy. 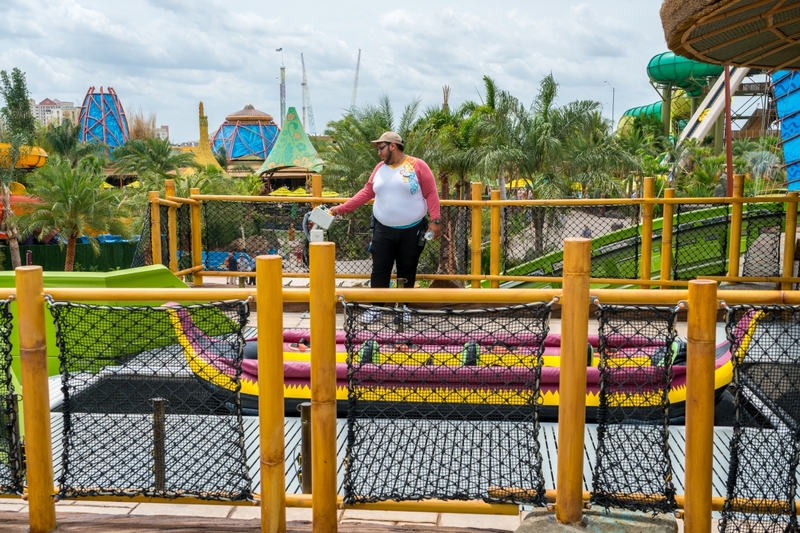 It’s actually a great deal of fun to experience.